As many of us in the holistic health field have said already, if one must take antibiotics, then in order to prevent diarrhea, one should also take probiotics. Although antibiotics kill killing bacteria responsible for illness, they also destroy the so-called “good” bacteria that live in the gut, and this can cause diarrhea. This side effect may cause as many as 20% to not continue to take the full prescription. Drs Benjamin Kligler and Andreas Cohrssen reviewed seven high-quality studies of probiotics, cultures of “good” microorganisms similar to those found in the gut. Their findings led them to conclude that there is good evidence to support the use of probiotics to prevent diarrhea caused by antibiotic use. The recommended doses of probiotics by the author’s are more than 5 billion colony-forming units per day for children and more than 10 billion colony-forming units per day for adults. Kligler B, Cohrssen A. Probiotics. American Family Physician. 2008; 78. Researchers Find Convincing Evidence That Probiotics are Effective. Albert Einstein College of Medicine of Yeshiva University. December 17th 2008. Dr. Fields (MD, DC) explains the dangers of anti-inflammatory to treat long term joint pain. Dr. Fields recommends a much less risky and far more affective treatment known as Prolotherapy. Prolotherapy is a natural non-surgical method of assisting the body to heal injured or weakened joints, ligaments and tendons. With Prolotherapy, the weakened areas are injected with a proliferant that stimulates the growth of healthy, strong tissues. As the tendons and ligaments grow stronger and vibrant, the pain is alleviated. Dr Fields MD, DC, interviewed on KCAL 9 on repairing joints, joint injuries, sports injuries with Prolotherapy. Prolotherapy is a natural non-surgical method of assisting the body to heal injured or weakened joints, ligaments and tendons. With Prolotherapy, the weakened areas are injected with a proliferant that stimulates the growth of healthy, strong tissues. As the tendons and ligaments grow stronger and vibrant, the pain is alleviated. After a severe knee injury doing sports (skiing, tennis, basketball and more), many people usually get an MRI. When this confirms an anterior cruciate ligament tear, one hears the dreaded words – have surgery or if not, then give up the sport that you love. And if you decide to leave it untreated, this can lead to physical problems later. Studies have shown that left untreated, knee weakness, arthritis, and other structural damage may lead to further damage. Of course, in this situation, running and even walking will no longer be an option. Prolotherapy is a natural non-surgical method of assisting the body to heal injured or weakened joints, ligaments and tendons. With Prolotherapy, the weakened areas are injected with a proliferant that stimulates the growth of healthy, strong tissues. As the tendons and ligaments grow stronger and more vibrant, the pain is alleviated and one can return to their normal activities be it skiing, tennis or any other sport. Prolotherapy is a lot less invasive than surgery. It also has much less risk and there is not rehabilitation that one usually needs following surgery. It can usually fix most tears of the ACL. 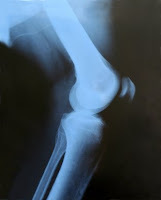 Only in the case of a complete ACL tear is Prolotherapy somewhat limited. Pacific Prolotherapy & Medical Wellness Center is please to announce the creation of this new blog. On this blog users will have access to up to date articles having to do with Prolotherapy, joint pain, Bio-Identical Hormones, sports medicine, sports injuries, nutrition, Holistic or Integrative Medicine, Orthopedic Medicine and many other health related topics. The Center is run by Peter A. Fields, MD,DC -- one of a handful of physicians in the nation with both medical and chiropractic degrees. This combination of degrees gives Dr. Fields a broad area of knowledge and expertise that benefits his patients. Prolotherapy is a natural non-surgical method of assisting the body to heal injured or weakened joints, ligaments and tendons. With Prolotherapy, the weakened areas are injected with a solution that stimulates the growth of healthy, strong tissues. As the tendons and ligaments grow stronger and vibrant, the pain is alleviated and motion is restored. Whether a joint, ligament or tendon is causing you pain or limited movement, Prolotherapy might be the right choice for you. Prolotherapy can also be help with arthritis, tendinitis (tennis elbow), bursitis, headaches and more.